Join us at the Spy Museum Store and “Meet A Spy” – uncover the world of espionage and intelligence from people who practiced professionally. 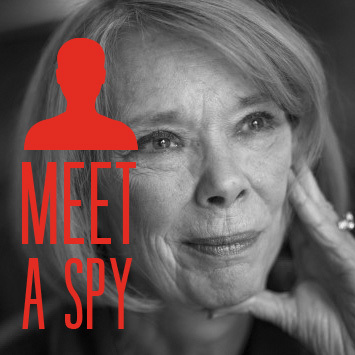 Sandy Grimes is a longtime veteran of the CIA’s clandestine service who—along with her colleague Jeanne Vertefeuille—helped capture Aldrich Ames, the infamous CIA officer turned traitor. Sandra Grimes and fellow author and former CIA colleague Jeanne Vertefeuille were two of the five principals of the CIA team tasked with hunting one of their own and were directly responsible for identifying Ames as the mole, leading to his arrest and conviction. Get the book here.